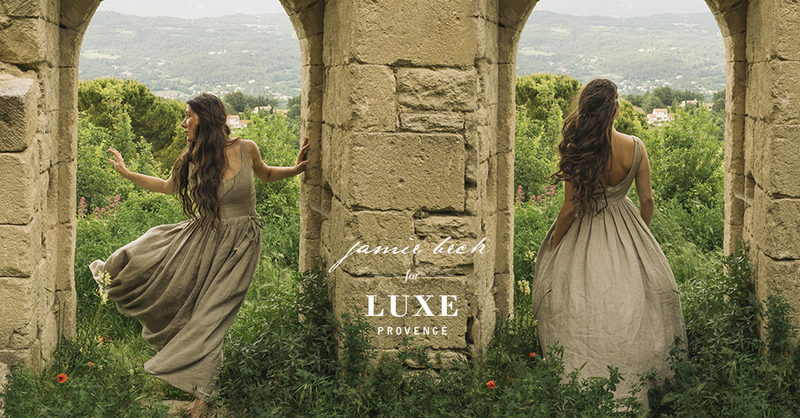 Much Anticipated, Second Release from Jamie Beck for Luxe Provence® arrives in silk… this Autumn. 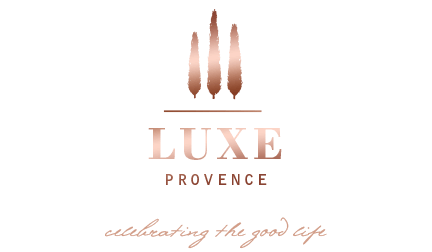 Luxe Provence, a lifestyle brand designing chic, South of France-inspired women’s and resort wear will release their second highly anticipated collaboration with Artisan of Provence, Jamie Beck, in time for the holidays. Last season, Luxe Provence collaborated with photographer, Beck, to realize her ultimate Provence dress, the Marianne (pictured below and available here), which sold-out within a few short hours of its online release this past June. For Autumn, the two American creatives in Provence, are collaborating on a silk piece designed for both city and country wear… from New York, Paris to Provence. Designed by Beck, the Jamie Chemise, will be released in a gorgeous feather white silk with pre-sales beginning mid-October, available in limited edition at www.luxe-provence.shop. Her second release for Luxe Provence is designed to be flattering to a wide variety of body shapes, and is ideal for injecting a bit of french, chic style into your autumn and holiday attire. The adaptable chemise is sure to be a much-coveted holiday gift this season. The Luxe Provence Lifestyle Collection celebrates the region’s effortlessly, chic style with a range OEKO-TEX® certified linen, European silks and high quality french cotton in timeless, classic cuts. We strive to create long-lasting classic pieces using sustainable materials which are proudly made locally in our Provence ateliers. “Each of our Luxe Provence Lifestyle pieces is designed to wear barefoot in the Provence countryside by day, and then out with a pair of heels to an elegant bastide, or seaside dinner, by night” says, Founder & Creative Director, Tarik Koivisto. 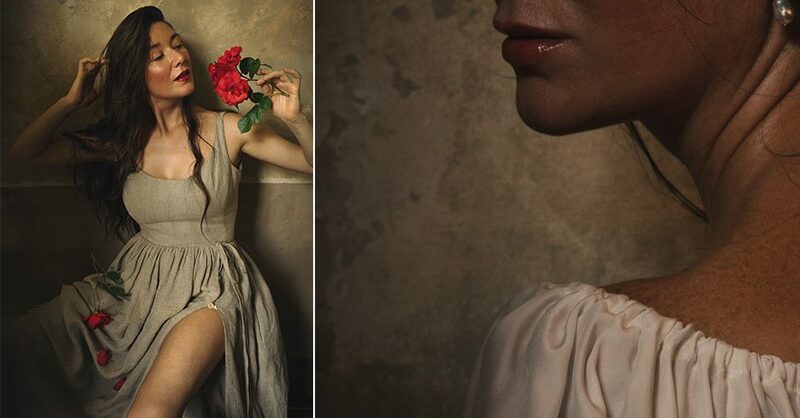 Jamie Beck, is the high-profile photographer and artistic talent, behind Ann Street Studio who has shot campaigns with iconic brands including: Chanel, Cartier, Oscar de la Renta, Tiffany, Donna Karan, Armani, and Saks Fifth Avenue. She’s often spotted sitting front row during New York Fashion Week with camera in hand, and has a beloved 170,000 followers of her #ProvenceSelfPortait series on Instagram. Jamie and her videographer partner and husband, Kevin Burg, invented the Cinemagraph, a patented process to combine Jamie’s breathtaking, timeless images with social media-ready video targeted to one part of the image. Despite the duo’s immense, creative success in New York, Jamie longed for a slower, more meaningful life to delve deeper into her artistic talents. Since moving to her 18th century apartment in Provence’s charming Apt, from their Tribeca loft in New York, Jamie has grown a cult-like following of Americans who look to her daily Instagram feed for a brief escape into the good life and artistic wonderment she creates. The first Jamie Beck for Luxe Provence Lifestyle SS18 dress will be revealed with pre-sale orders starting mid-October Each piece is available in limited edition and proudly created in our ateliers in Provence. Reserve yours online exclusively at: www.luxe-provence.shop, while supplies last. Learn more about our featured Artisan, Jamie Beck on the Luxe Provence Blog, or follow along in Instagram Stories for more sneak peeks from the atelier and behind-the-design coverage at (luxeprovence).